In today’s mobile economy, small to midsize businesses share many of the same wireless networking needs as a large business. Employees, business partners, and customers need and expect the same high-performance enterprise-class wireless LAN (WLAN) connectivity — a WLAN that offers the wired-style speeds required to maximize network efficiency and rock-solid security, with around-the-clock dependability, automated network tuning, and self-healing. And just like large businesses, small to medium-sized businesses need the network analytics and tools to monitor, manage, and troubleshoot the WLAN and all its connected devices. The NX 5500E offers the agility a growing business needs. Your network needs could change fast, from expanding office or warehouse space at the same location to acquiring multiple locations across the country. 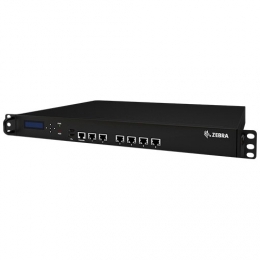 The NX 5500E provides network flexibility and simple scaling, supporting various network topologies and hierarchical management, accommodating up to 512 access points. With WiNG Express, you don’t need to understand advanced configuration options to get your network up and running. Easy site setup and intuitive auto-provisioning policy allows easy multi-site deployments. Just power up your access points to automatically discover and provision your access points with the predefined configurations. Your enterprise-class WLAN is ready to go in minutes. When it comes to remote site deployments, the NX 5500E supports up to 128 access points. No local IT staff is needed. No local controller appliances required. Simply install the APs, and when they are powered on, they will be automatically configured with the latest firmware and location policies, and brought online. It’s that simple! As your business continues to grow, your needs may scale beyond the NX 5500E, but with WiNG Express’s hierarchical management, the NX 5500E continues to be part of the network. It can be managed by a WiNG Express NX 7500E or VX 9000E, expanding your network capabilities to more sites, more users, and up to 1024 access points with seamless migration and management without re-architecting the network and requiring new training. This is the investment protection and return on investment that midsize businesses expect. WiNG Express presents the volumes of information about your access points and their radios, all of your WLANs, and all of the mobile devices connected to your WLANs in easy-to-understand screens that make it easy to monitor and manage every aspect of your enterprise-class wireless network. WiNG Express Manager’s intuitive and easy-to-understand screens make every aspect of managing your WLAN easy — from initial staging to ongoing daily management. The system-level dashboard presents a map view of all the sites with inventory details for immediate visualization of the entire network. The site-level dashboard allows you to see the status of your access points and their radios, the client devices — including device type — connected to your access points, how much capacity is available, and more. And a drop-down box allows you to view information for your preferred timeframe — the last 30 minutes, the past two hours, or the last 24 hours. Setting up a multi-site network has never been easier. Site creation from the system level configuration can be as simple as choosing the default template configuration or cloning the desired configuration from an existing site. Specific system level configuration settings you define are pushed out globally and automatically applied to all of your access points in all of your sites or to a specific site, dramatically simplifying the time, effort and cost of network-wide configuration. WiNG Express Manager’s auto-provisioning feature allows you to deploy a multi-site WLAN network without any pre-staging. Policies can be defined for each site to match against parameters such as CDP/LLDP string, AP MAC, and IP address to place APs in a specific site and apply the appropriate configuration. As a result, the time required to deploy your WLAN infrastructure is significantly reduced. This ongoing system- and site-level log tracks and maintains a complete history of events that have occurred on your WLAN, providing valuable trending information as well as details you need to address a specific incident and prevent a reoccurrence in the future. You can inspect aggregated analytics at the system level or drill down to site-specific details for more granularity.